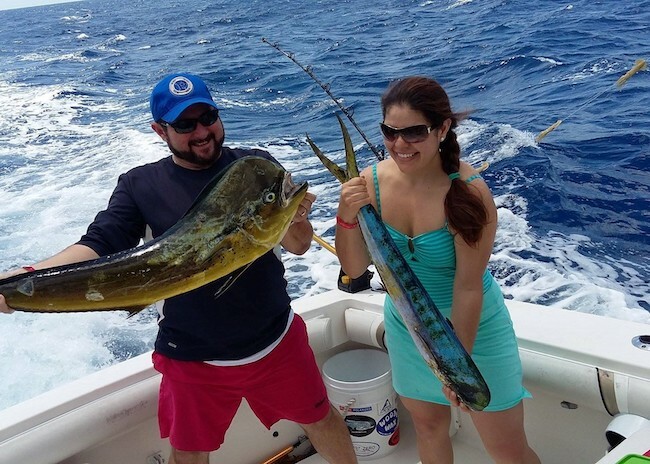 What is the best Cozumel Fishing Charter company? Once you find yourself getting bored with fly-fishing or river fishing, then maybe it's time for you to venture out into deep sea fishing in the caribe. What better way to start of this new feat than to do it in one of the best islands in the Caribbean, Cozumel Island? Tired with the average-sized fishes in the Cozumel flats? Worry not, there is more to fishing thanlagoons in this beautiful island. Cozumel is not only known for its healthy reefs, but also for its abundant marine life. The best time to go deep sea fishing in Cozumel is during the warmer months where the waters are thriving with big fishes such as Sailfish, Marlin, Wahoo, Mahi-Mahi, Tuna, and more. What should you look for in a Fishing Charter? When going on your first deep sea fishing challenge, you must make sure that the charter you will choose has you all backed up. The crew must be able to provide you with fishing gear such as rods, reels, and tackle, fresh bait, snacks, and of course cold beer or fresh water to make this trip laid-back and relaxing. Also check if the charter comes with the necessary facilities such as toilet, shade and sun areas, and air-condition - especially if it gets too hot and humid outside. The fleet usually ranges from 30', 31', 32’ and 42' foot depending on how big your party is and your budget. They should also be able to take care of the fishing license since tourists are not allowed to fish without a licensed guide as well as transportation from the marina to your hotel or pier of arrival on Cozumel. Experienced English-speaking captains and mates should also operate the vessel to ensure your safety. They should also know the correct parts to search for the big game. For the fishing method, they should have at least six lines in tow at all times to maximize the chances of you catching a big fish. Don’t worry; you will be the one reeling when a range picks something. Why is CozumelDeepSeaFishing.com is the most recommended Cozumel Charter company? 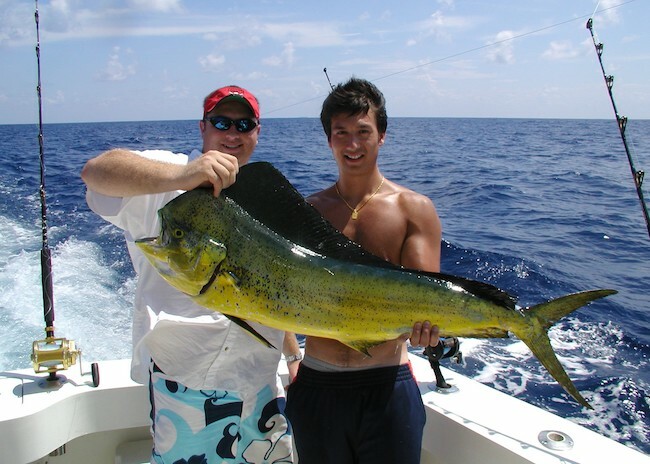 Cozumel deep sea fishing has been providing professional fishing trips in Cozumel since 1980. They offer deep sea and bottom fishing trips in cozumel for anglers and families. From personally assisting anglers, the crew have just recently launched their website to accommodate more people who want to experience catching the big game from the vast blue sea. Don’t pass up to the chance of scoring a Grand Slam, which means catching four species of Billfish in one day, and an admiring the beautiful crystal clear waters of the Yucatan channel.